More and more farmers in the country are growing the crop. Following several years of research and development in the country, ICBA is now working with farmers to introduce varieties that have performed very well under local conditions during trials. 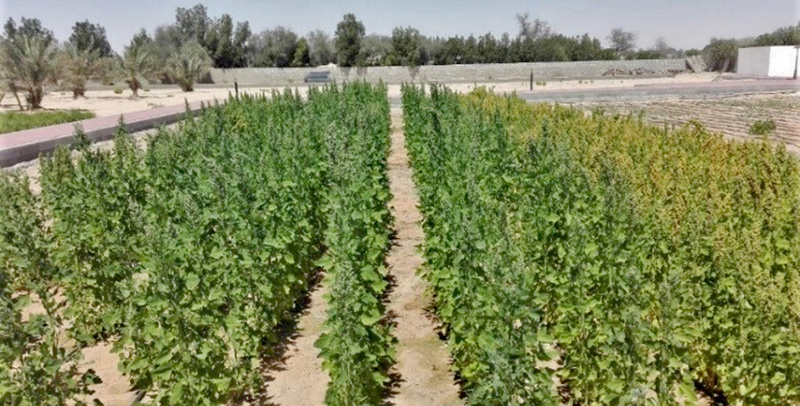 The number of farmers cultivating quinoa in the UAE is steadily increasing thanks to a major program led by the International Center for Biosaline Agriculture (ICBA) in collaboration with national partner organizations. 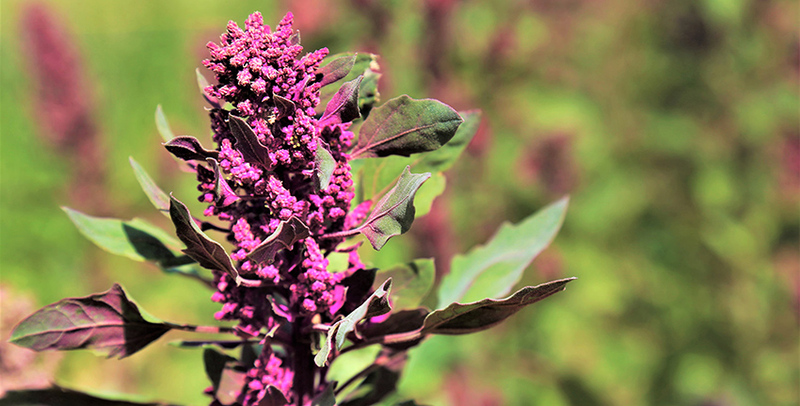 As quinoa has remarkable genetic diversity, resilience and adaptability to harsh environmental conditions, it can grow in poor saline soils with very little annual rainfall. In addition to its market value, the crop also boasts an exceptional nutritional composition: it is highly nutritious, gluten-free and rich in essential amino acids and vitamins. Under the program, ICBA scientists have collaborated with local partners since 2016 to select and distribute quinoa seeds to 12 pioneer farmers in the emirates of Abu Dhabi, Ajman, Sharjah and Fujairah. In Sharjah, for example, farmers started planting quinoa in February 2018 with support from ICBA and the Municipalities and Agriculture Affairs Department of the Government of Sharjah as high levels of salinity (as much as 16 deciSiemens per meter (dS/m)) and low groundwater levels are becoming a problem for farms in the emirate. The farmers are expected to harvest yields of up to 2.2 tonnes of grain per hectare, although salinity in these areas ranges from 2 to 16 dS/m for soil and 6 to 18 dS/m for underground water. Moreover, the soil in these areas is native sandy soil with low fertility and a pH level of 7 to 8.5. “We are glad to see the initial results of quinoa farming in the UAE. As the country imports most of the food to meet the domestic demand, increasing local production of different crops, including quinoa, will eventually enhance the country’s food self-sufficiency and will help to boost farmers’ incomes,” said Dr. Juan Pablo Rodríguez Calle, a post-doctoral fellow at ICBA. To evaluate quinoa germplasm and select lines that are best suited to different environmental conditions across various regions, ICBA since 2007 has been running a global program on quinoa. Over the years the center has evaluated more than 121 quinoa lines and selected five best-performing ones for countries such as Egypt, Ethiopia, India, Jordan, Kyrgyzstan, Morocco, Oman, Pakistan, Spain, Tajikistan, the UAE, Uzbekistan and Yemen.